Combine steak and 1/2 cup of Mongolian sauce in large resealable bag; marinate in refrigerator for at least 30 minutes. Heat oil in large skillet over medium-high heat, and cook steak (in batches if necessary) until no longer pink, leaving excess marinade in bag. Remove meat from skillet, keep warm. Add bok choy to skillet, season with salt and pepper; add water and stir. Cover and cook for about 5 minutes or until white pieces of bok choy are tender. Remove from heat, keep warm. To serve, divide rice evenly among 4 bowls. 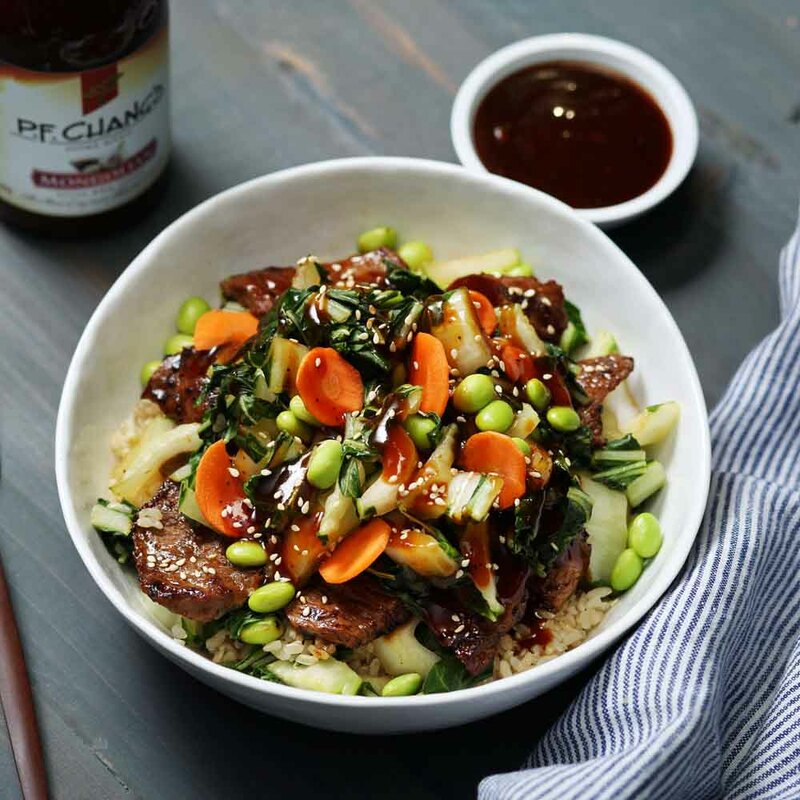 Top each with steak, bok choy, edamame and carrots. Drizzle with remaining 1/2 cup sauce, sprinkle with sesame seeds and serve. To add a spicy kick, add 1 or 2 tablespoons of sambal oelek (red chili paste) or a few dashes of Sriracha.